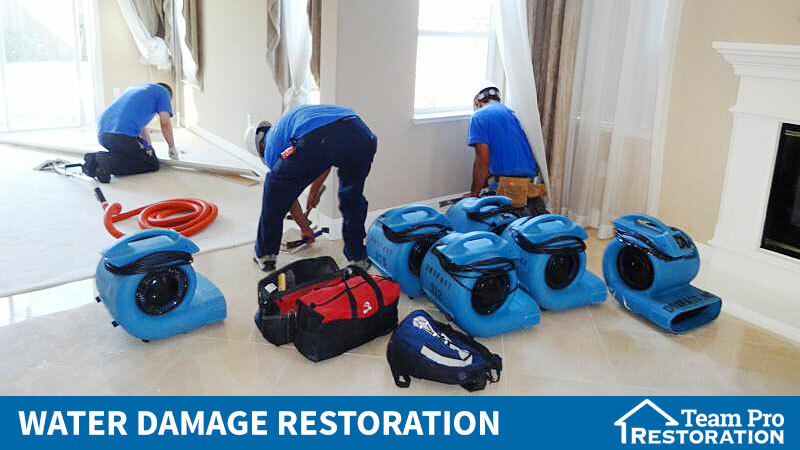 When it comes to water damage & mold removal in and around Los Angeles, CA; Team Pro Restoration has got your back! At some point, almost every business or homeowner will experience some challenges with the water system. It’s, therefore, important to know who will be at your service when you need it the most. Water leakages or pipe damages are serious problems that are common in most household and can give way to vital and long-term problems. These include mold infestation and property damage. If you fear of the same happening in your home or you’re currently experiencing these challenges; worry no more. Team Pro Restoration is here to offer relevant services and treat your property promptly & efficiently. Sewage failure causes serious damages that could go further to affect the human health. Sewage is classified under the category 3 water, also called black water; this means they are heavily contaminated and can cause serious illness/ discomfort if ingested by animals or humans. Under the restoration industry; Team Pro Restoration has stood the test of time with a good reputation in the market. The company is certified for both residential and commercial handling of water and sewage damages. The services include; removal of stagnant water, drying of flooded areas, disinfecting the affected surfaces and making properties safe for human habitation. Our servicemen will handle your business premises or home with care and dignity. With the latest restoration techniques at hand; we are committed to making your home or business a comfortable place to be.Mold infestation accompanies any water damage and occurs within 72 hours. It’s the single and most common byproduct of water damage. Mold has a tendency to spread faster and has been proven to cause lots of health issues. These range from skin irritation, allergic reactions to major neurological disorders. Getting rid of mold as soon as they grow is a wise step to safeguarding your property as well as your own health. The process of removing mold begins with identifying the source & the cause. If the due process isn’t followed; the mold will only return after a short while. Eradicating the cause should be the first approach; before taking care of the spread and the affected areas. Cleaning, sanitizing and disinfecting the affected areas are the steps to making sure any mold growth won’t re-occur again. Our trained and competent technicians have been handling several cases of water damage and have all that takes to bring you and your property back to safety. Mold might not be the only health threat in your home; mildew and other related toxins might also build up due to water damage. The integrity of your business or home & the health of your loved ones is our key concern. Once we are at your service; all you need to do is relax and we’ll take all the necessary actions to resolve the mold problems in a decent & timely manner.With our able and friendly IICRC certified professionals; we take pride as the leading water restoration & mold Remediation Company in LA. We are available 24/7 to solve any water, mold damage and flood issues. We believe in quality services and customer satisfaction; our latest restoration procedures and equipment offer the best of services beyond the customer’s expectation. In the case of any emergency service, you can contact our hotline number and we’ll get back to you in the shortest time possible. For a free estimate or any advice, feel free to contact us at 877-776-7767. We fully understand what you are going through. We are human enough to handle your worries in a timely and decent manner. Our primary goal has always been to help minimize the interruption caused by some of the natural disasters and give you the chance to make up your new life like it never happened. © 2016 Team Pro Restoration. All rights reserved. Lic. 0G67814 & 0C97904.